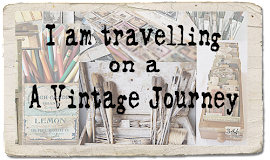 A Vintage Journey: Destination Inspiration - Let there be light! Hello all, Alison (butterfly) here with you at Destination Inspiration today. And, as befits a staging post on the journey, it's a chance to pause and put your feet up with a cup of coffee. But before we get started, let me just remind you about our very special Secret Santa Bonus post from yesterday. 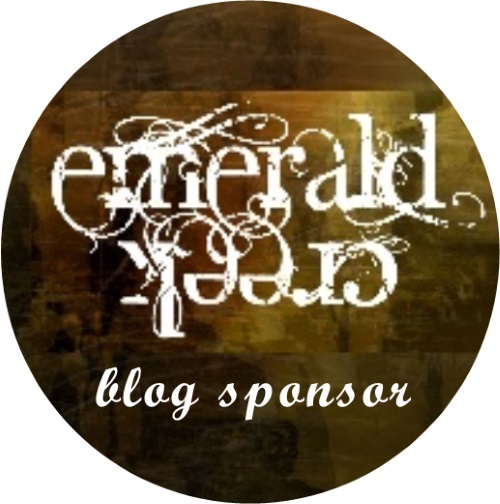 There are some fantastic prizes to be won in our Christmas Giveaway - so don't miss it! Back to today, and I hope you'll find my offering inspiring somewhere along the line... either from the basic simple idea at the root or from the festive experimenting that went on from there. 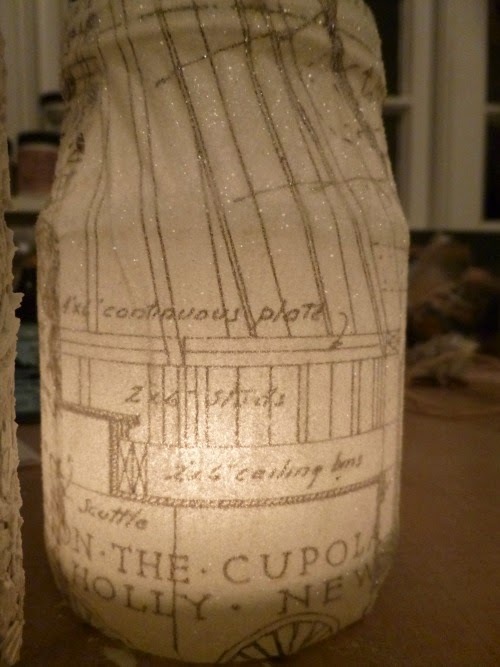 It's not really so much a lightbulb moment as the gentle glow of candlelight, spreading its beams on a wintry night! I've ended up with three new additions to the candlelight fiesta we celebrate with round our way (we always have many, many candles lit at Christmas), each one with a slightly different finish and texture if you look closely. 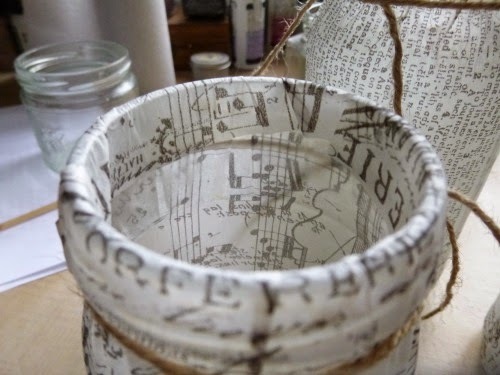 So that's where I ended up, but I started with the simple idea of covering jam jars with Idea-ology Tissue Wrap. I love the tissue wrap but often, when I use it at least, it ends up under layers of other things, not really getting to strut its stuff. So I started from wanting to put it front and centre and, what's more, give it an inner glow. ... so that I could fold it inwards. It pretty much took care of that nice neat pleated effect by itself as I pressed it down. And at the top I left another spare centimetre (ish) so that I could fold it down into the jar rim for a nice neat finish. I tied twine tightly around the top while the glue was drying, just to hold it all in place. 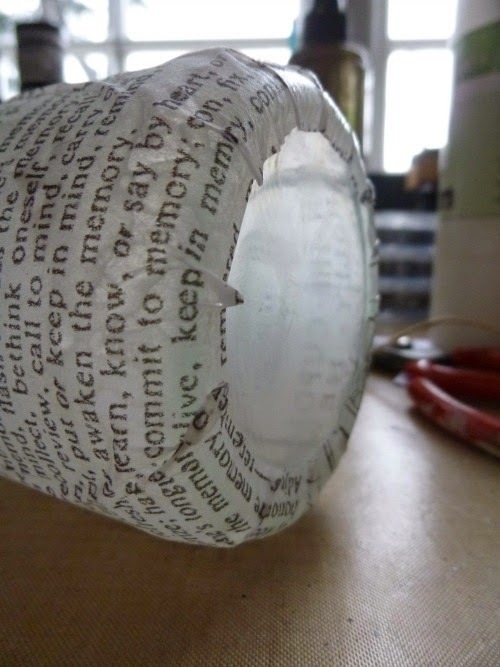 For all that my crafty creations are layered and textured, my tastes in home decor are fairly simple and minimal so - for my money - that's pretty much a done deal. 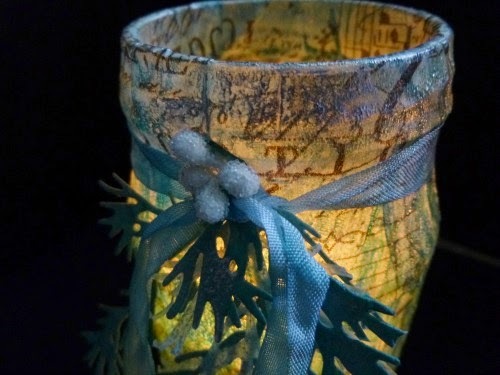 I love how the tea light candles glow, lighting up the tissue wrap, and the twine gives a rustic finish. 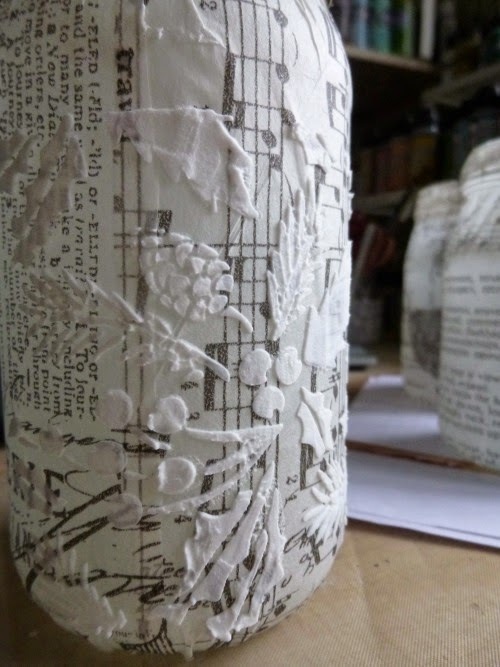 A really easy, decorative candle holder. But it's nearly Christmas, and I felt I should pop a bit more inspiration into your stockings! So I decided to experiment with zhuzhing them up a bit. 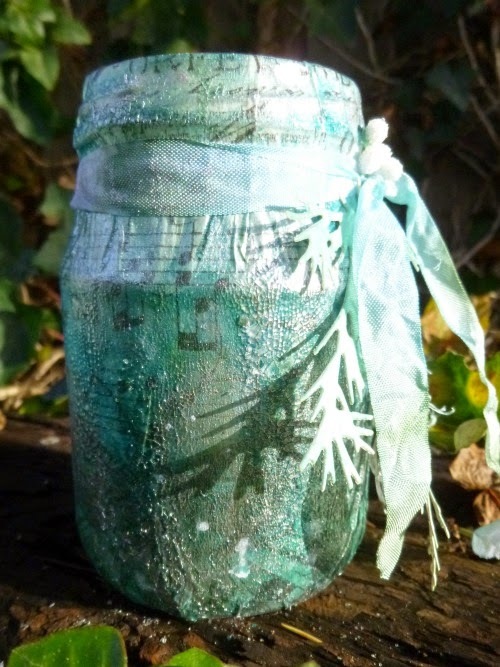 Jar 2 got another coat of multi-medium over the top of the tissue wrap, and then I poured Rock Candy Dry Glitter all over it. And again, as far as I'm concerned, you could stop right there if you wanted to! 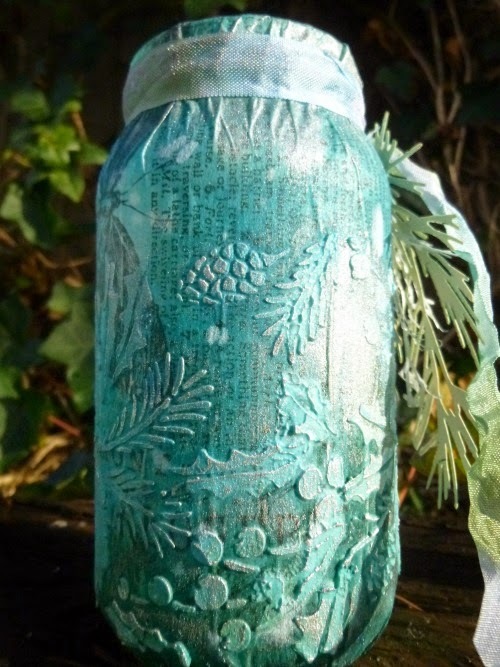 Jar 3 got the Ranger Texture Paste option, applied through the wonderful Holly Bough Layering Stencil. I used some tissue tape just to secure the stencil while I did it, though I also held on quite firmly at the same time (oh, for a third hand...). 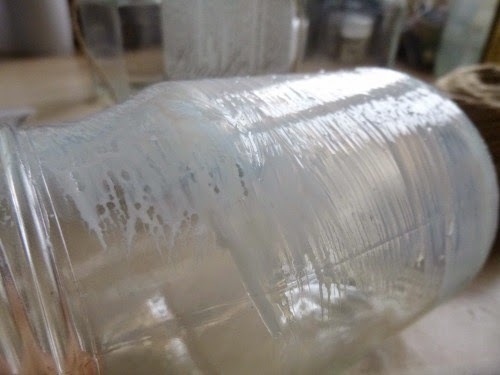 Since it didn't quite meet all the way round the circumference of my jar, I had to wait for that first application to dry before filling in the gap. So far so good... now for some colour. I grabbed some of my new Distress Spray Stains (how happy I am they exist!). 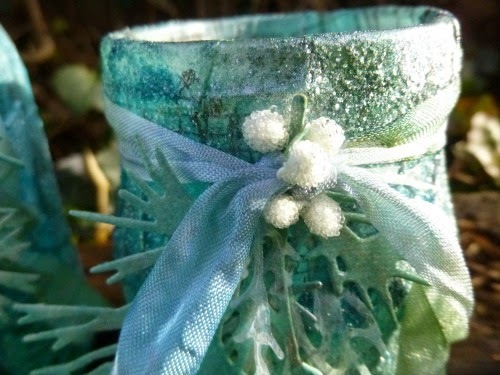 Evergreen Bough, Iced Spruce, Tumbled Glass, Broken China and the fabulous Brushed Pewter all play a part here (as well as a not-pizza box from a crafty delivery!). Since tissue wrap has a pretty non-porous coating, you sometimes have to help it along when applying colour. I was expecting a sort of Cracked Stains (Tim's technique) effect with the crackle paint. After all, these are Distress Stains, just being applied differently. And it was great fun letting the inks run and blend into and over the cracks. The Dry Glitter was also fine. It takes colour well itself and, with the coat of multi-medium holding it in place, the sprays took really well. In fact, they sank in really quickly - you don't get much drippage/blending play. 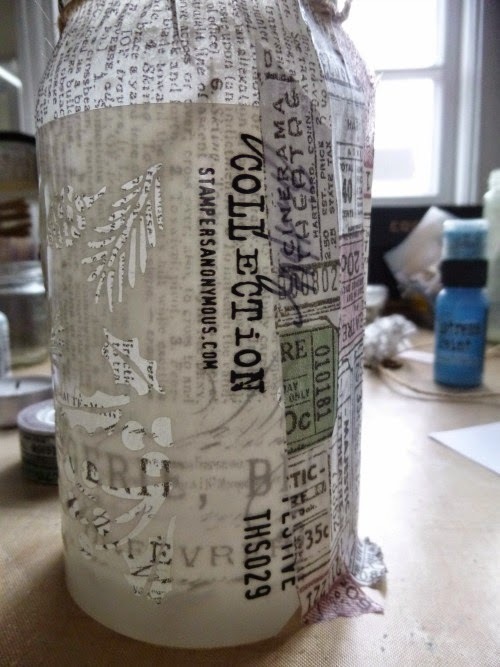 But for Jar 3, I knew I might need to give the tissue wrap a bit of extra tooth before spritzing, so I coated the whole thing - texture paste and all - with Clear Gesso before applying the colour. I didn't try without the Clear Gesso, so I can't tell you what that would have done - but having it there certainly seemed to do the trick. Again there was lots of drippage and blending play as I applied the layers of colour and of course the Ranger Texture Paste is specifically designed to play nicely with Distress Inks, so that was fine. Of course with all that spritzing and dripping there was quite a lot of leftover ink going spare so I quickly grabbed a few Manila Tags and did some mopping up, as you saw in the not-pizza box photo. So now I have some ready-to-play backgrounds awaiting more attention, though I knew I had a use for the really inky three. With all that co-ordinating colour and beautiful silvery sheen, these had to play a part here. 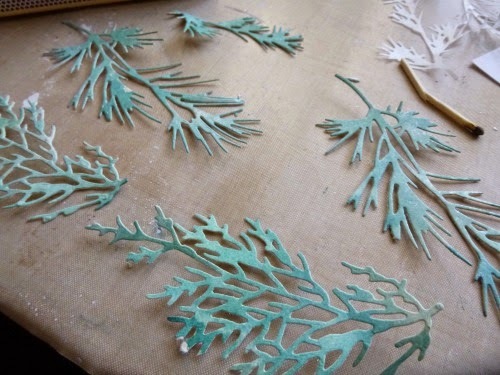 I ran them through the BigShot with the fabulous Holiday Greens Thinlits - so in love with the delicate fir fronds. I used some of the wax paper kindly sent me by Marci from the States - before they started stocking it around the place over here. It definitely helps make it easier to get delicate die-cuts out of the dies. But of course you also end up with really gorgeous additional die-cuts - very delicate, deliciously frosted - and so they also got pressed into service! 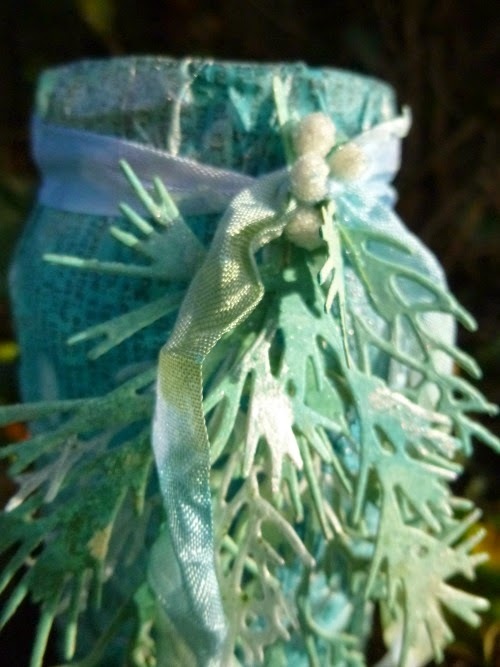 I tied the bunches of greenery onto my jars with Crinkle Ribbon, and did a bit of gentle additional spritzing (adding Bundled Sage into the mix this time). I didn't want too much colour on the ribbons - a touch of white never hurts at Christmas - and the sprays also gave the greenery a bit of extra texture too. The final touch was to add a few frosted berries, clustered around the ribbon knot, and I decided I was done. The shimmer of the Dry Glitter delights me far more than I expected, not being a glittery type in the general way of things! 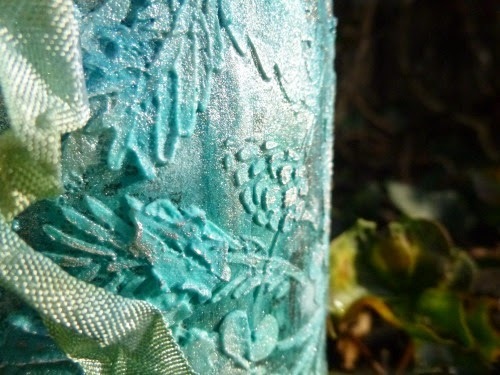 And I just love that Holly Bough texture - such a great stencil, and the texture really benefits from a little extra dusting of Silver Treasure Gold wax. It's not easy to capture the effect of candlelight on camera. You always get a really intense light from the candle flame, rather than the diffuse glow filling the whole of the jars that you get in real life, but this gets pretty close. 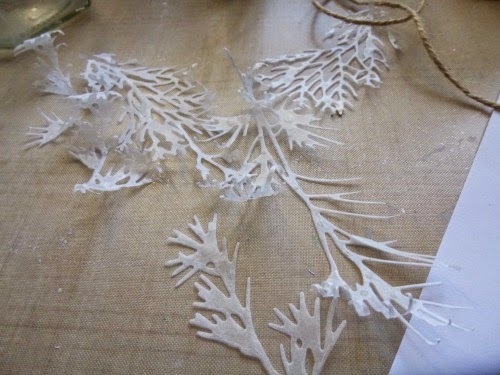 And always with the lovely text and images of the tissue wrap coming through from underneath. 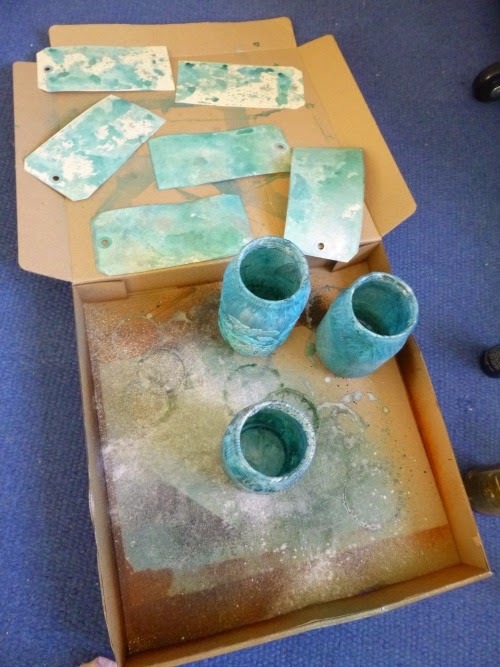 They also look great lit by candlelight from the outside, so I gave a little spritz of Brushed Pewter to an already teal-green coloured nightlight holder, and added that to the collection for a really festive look. I hope that's given you lots of ideas to play with, and that you'll have candlelight glowing in your homes this festive season. However you celebrate, we hope you'll come and play along with Nikki's lovely Let's Celebrate challenge this fortnight. Check out all the details, rules and lots more inspiration from my fabulous DT colleagues, and come and celebrate with us. You could become one of our Pinworthies, or win a gift voucher from our generous sponsors Country View Crafts - and that's definitely worth celebrating! Thanks so much for stopping by today, and I'll see you again soon on this Vintage Journey. What beautiful candle jars Alison! 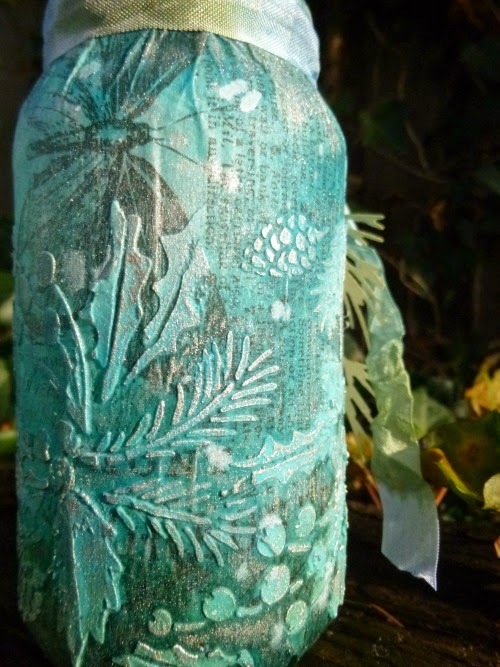 love the blues, the tissue base, the wonderful texture with the crackle, glitter and paste stenciling! Looks like they give off a lovely romantic glow in the dark! Absolutely Stunning, beautiful, fantastic...a lot of words that I can think of. 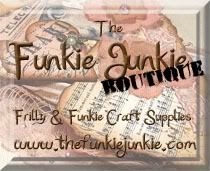 Loved all 3 jars thought I loved the crackled up one! 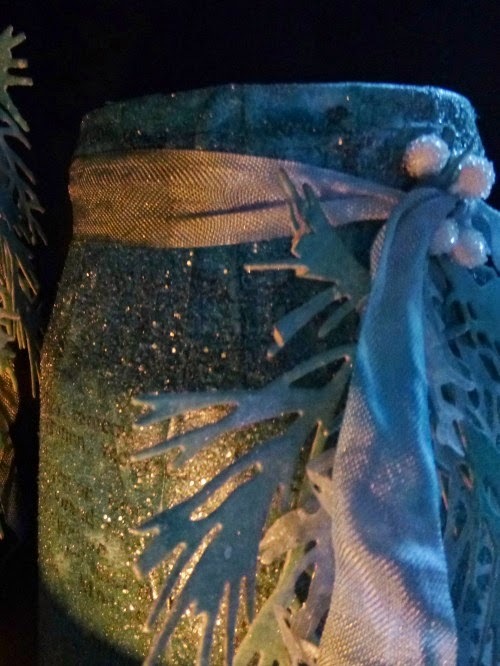 The monochromatic choice of colors is just so perfect and the look of it when lit is "sheer beauty" ! Wow wow wow - FANTASTIC!! I dont have words to say how much I love them - such a fantastic artwork and great inspiration!!!! These are really stunning and you are so right...you could have stopped at each stage and left them as they were...but this tis Christmas and More is more! Thanks for sharing all your insight into each stage and layer. 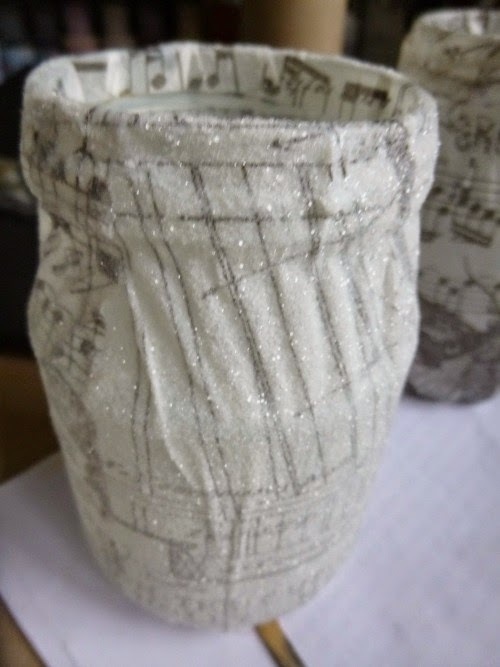 What fabulous jars, they look stunning - Each layer looks perfect and yet you add a little extra and it looks better. Really magical effects you have created Alison. 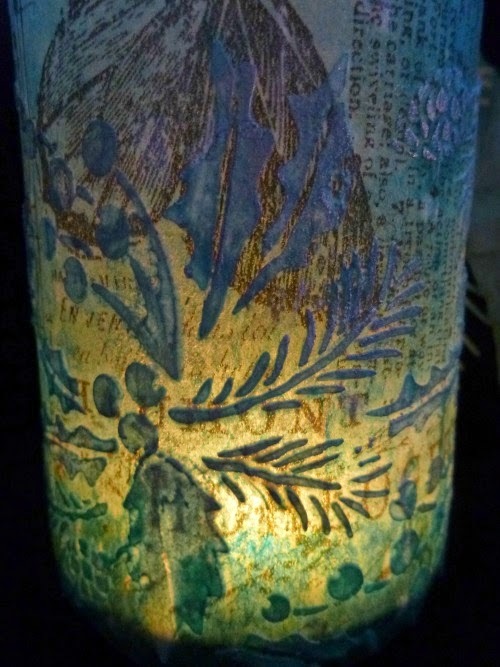 Love candles at any time of the year and these are so festive great colours and textures Alison they will be a fabulous addition to your Christmas decorations this year. These are wonderful! So magical. 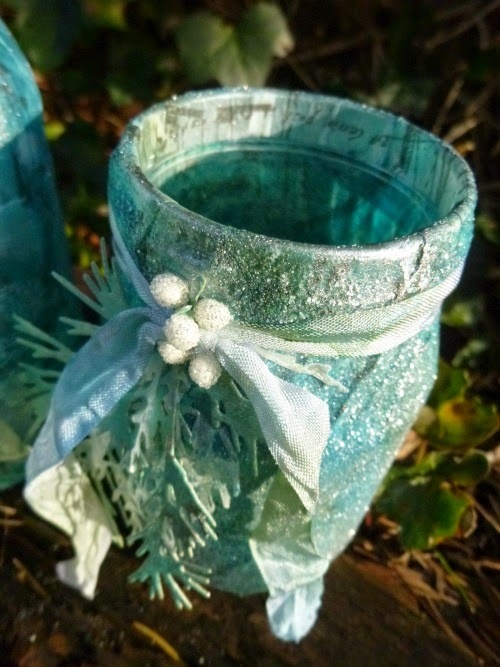 What fabulous candle holders you have to add to your decor. Bravo! WOWS Alison!! Another stunner and into my to-try inbox!! What a great home dec project, Alison. Love your step by step that makes it so simple for us to follow along and have the same gorgeous results. Fantastic results with all the yummy TH products! 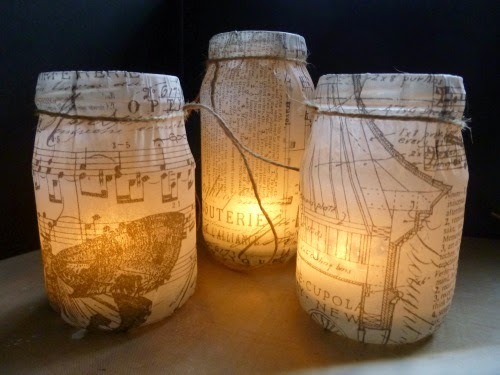 Your home must be beautiful with all the luminaries. 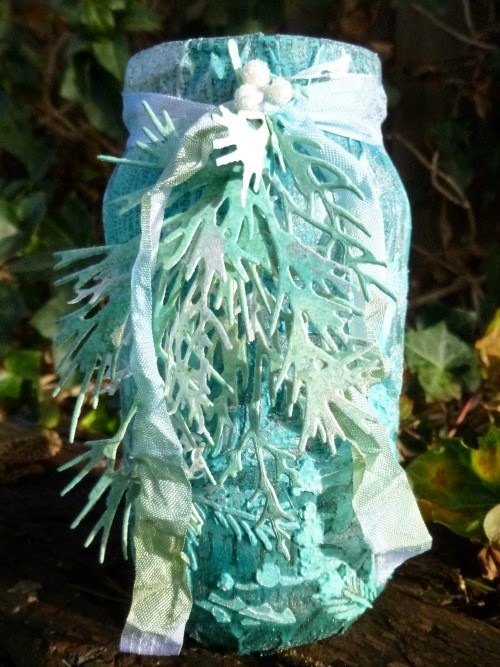 What a lovely way to use the tissue wrap. Just love the way it defuses the light. Beautiful project, thanks for sharing. 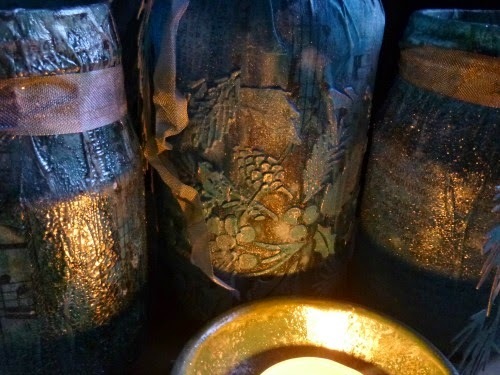 Stunning candle jars Alison, amazing all 3 of them with their different adds of glitter, paste and crackle. 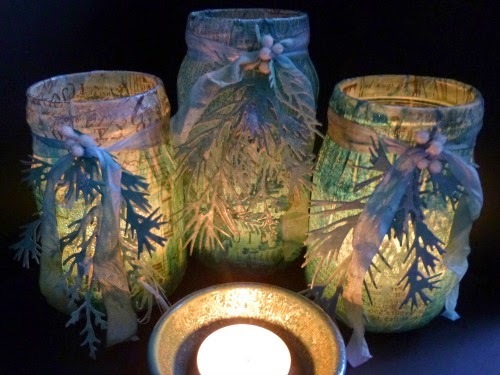 All so wonderful with the diecuts of fir and grenery,- your christmas will be beautiful glowing through these jar wonders. 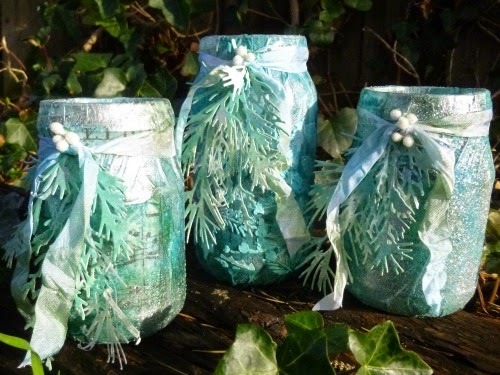 Such pretty jars Alison! I had the greenery die on order for a month before my order got cancelled :-( time to reorder and maybe I'll be able to make something along these lines next year! 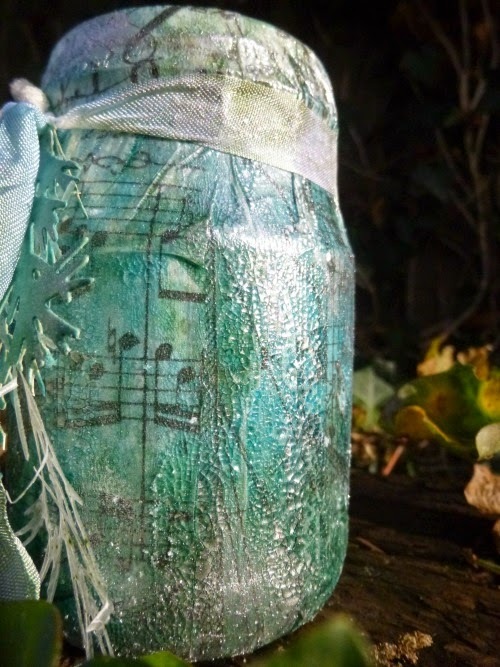 What a great way to recycle jars. Love the shimmers and shadow effects. Beautiful project thanks for sharing. Super!!! I really love these glass jars!!! Great idea!! and wonderfull creations!!! These are truly fabulous! And how much I love to see the different process for every jar. 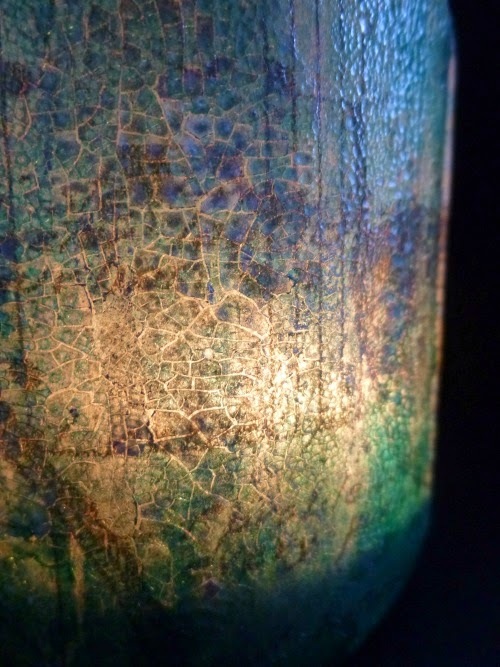 All that subtle shining and glittering, and gorgeous crackle as well. You got such a festive feeling, just with jars. Bravo! 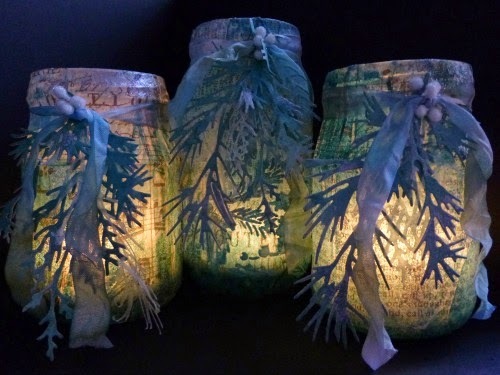 Just breathtaking candle jars you have made! 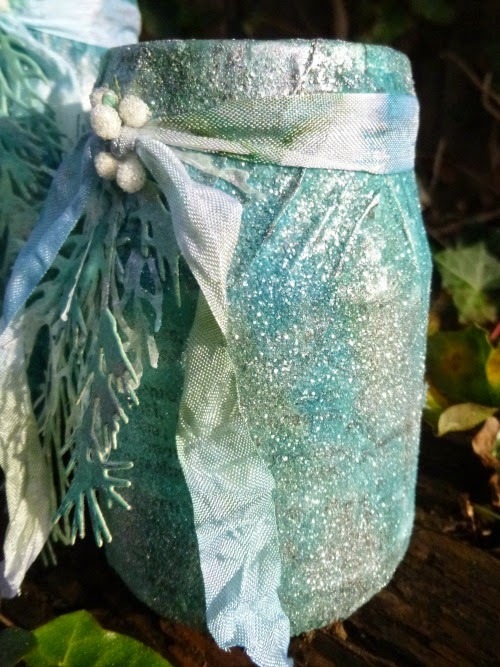 I love the color choice-perfect for a cold wintry night, before, during and after Christmas! I love, love, love the crackling and the texture! Thank you for taking us through your process...it is always such a pleasure to learn new techniques, and you presented it in such a way, I felt I was right there with you. Merry Christmas! Hugs! Just gorgeous Alison!! I love those colors and how wintery and warm everything looks- all at once!! 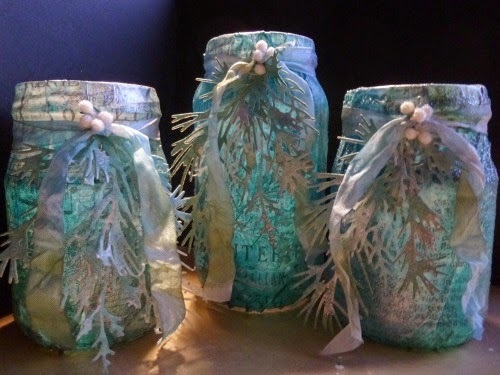 These jars are outstanding as well as your tutorial! The end results are amazing and totally festive! You hit a home run on this post! 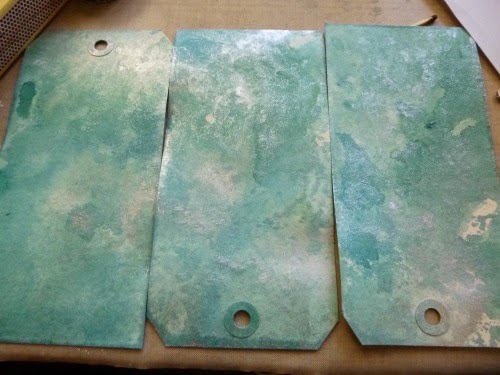 Great tutorial Alison, fantastic effects with all those different media, I bet they look even more stunning in real life! WOW!!!!! 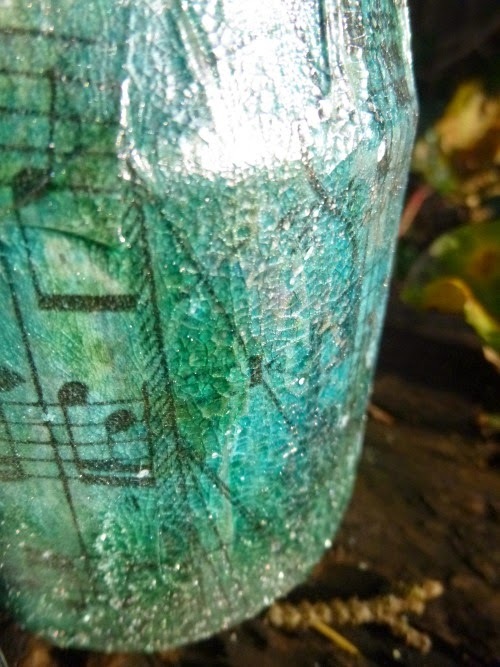 Fabulous jars Alison, what a wonderful and amazing creation once again!!!! What a stunning makeover! 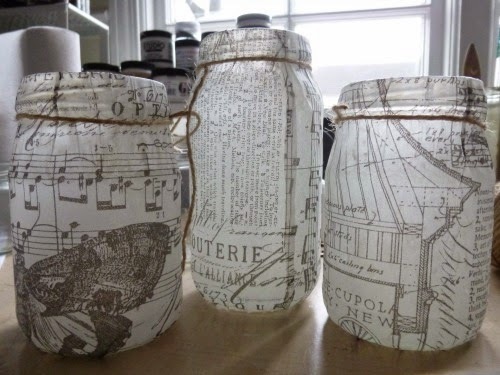 Love these beautiful jars. I came over from your new post to look at these again, and saw I never commented! These are gorgeous! I like each one, they look so frosty! The plain ones are pretty, too. 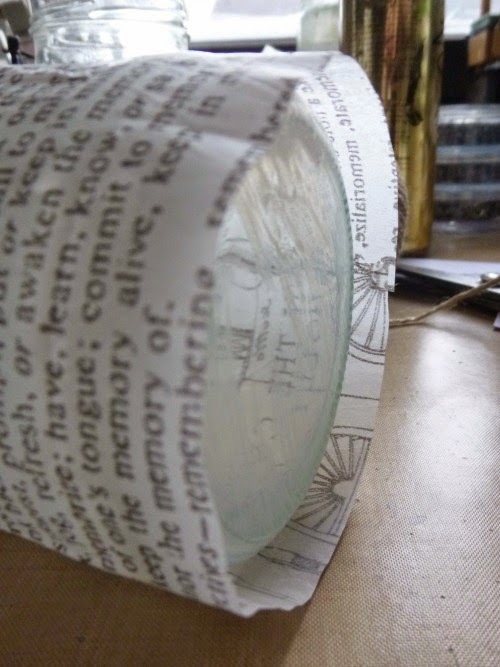 Fantastic upcycle!